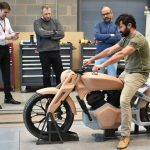 Concept bikes are often used to showcase the design chops of a manufacturer while testing the water for potential new model ideas. 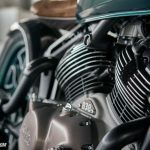 Royal Enfield has clearly stated that the Concept Kx is just to allow the company’s designers to strut their stuff and raise the company’s profile. The Kx certainly does attract attention with its blend of retro and modern styling. 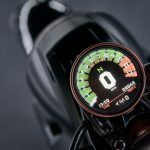 Of particular interest is the combination of the massive girder fork and headlight assembly that step cleanly away from RE’s focus on more historically based designs. 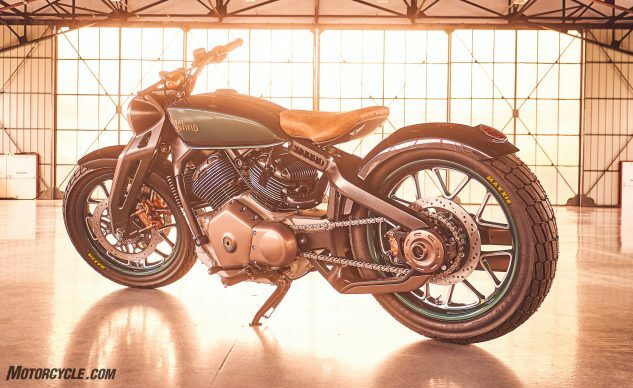 However, even with this neo-retro design, RE says it drew its inspiration from the Royal Enfield KX of the late 1930s, a 1,140 cc V-Twin. 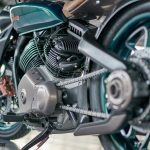 Here, too, the Concept Kx has a V-Twin, but it appears to be much smaller. 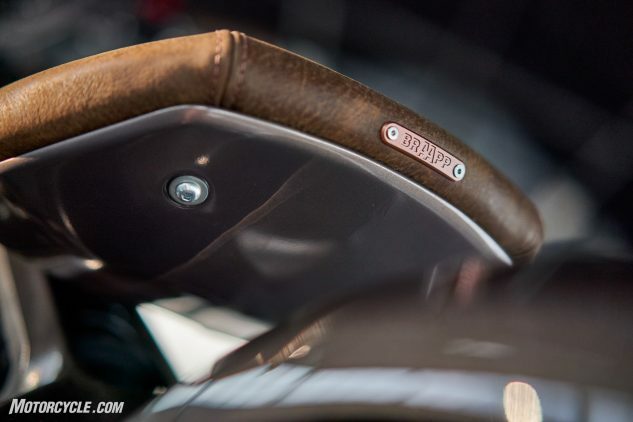 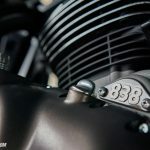 A badge on the engine says 838, which places its size within the middleweight range that the company says it wants to focus on with its future models. 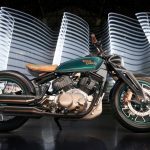 So, while, if we take RE at its word, we shouldn’t expect to see the Kx as a production model, we can’t help but wonder if the 838 V-Twin might find its way into another, less avant-garde machine. 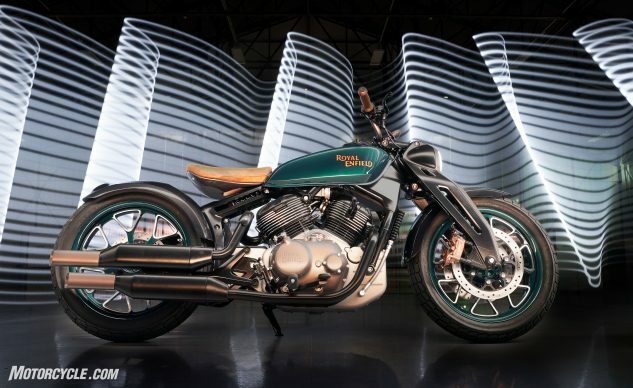 The rest of Concept Kx is pure eye candy. The single-sided swingarm is pure sexiness – especially where it wraps itself around the shock the is displayed under the cantilevered solo saddle. 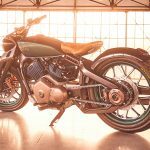 While the Maxxis tires and the shapely, close-hugging fenders give the Kx a dirt tracker feel, the cruiser-ish, slightly feet-forward riding position makes the bike’s purpose feel a little more relaxed. 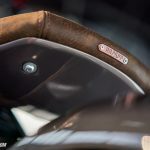 Regardless as to whether the Concept Kx ever sees any of its components make their way into a production Royal Enfield, it’s always nice to see a manufacturer showing off its design capabilities and pushing the boundaries of what it typically produces. 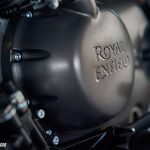 Still, given what we were told about more new engines being in the works at the Continental GT/Interceptor 650 introduction, we can’t help but wonder if this is our first glance at an upcoming Royal Enfield V-Twin. 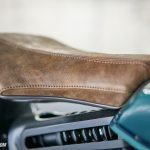 To demonstrate the exceptional talent and open-minded attitude of Royal Enfield’s design and engineering teams in India and the UK, the marque has also chosen EICMA 2018 to offer motorcycle enthusiasts a world-first look at its remarkable concept presentation, ‘Concept Kx’, a V-Twin motorcycle. 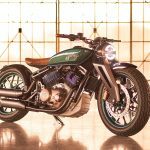 Developed from scratch in just six months during the summer, the Concept Kx was inspired by Royal Enfield’s original Model KX of the late 1930s, a mighty, 1,140cc side-valve machine that was described in contemporary advertising material as being ‘the last word in luxury motorcycling’. The team working on the Concept Kx motorcycle, saw the original as an ideal starting point for a concept machine that could reflect the popularity of ‘retro-modern’ motorcycles by combining the KX’s low-slung, girder-forked, ‘dropped-in-wheels’ look, with state-of-the-art design methods and rich materials such as copper, bronze and leather. 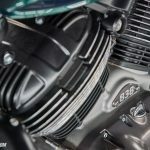 Working together in India and at the Royal Enfield Technical Centre in the UK, the team started the project in April with the design of the v-twin engine as the basis around which the motorcycle would be developed. 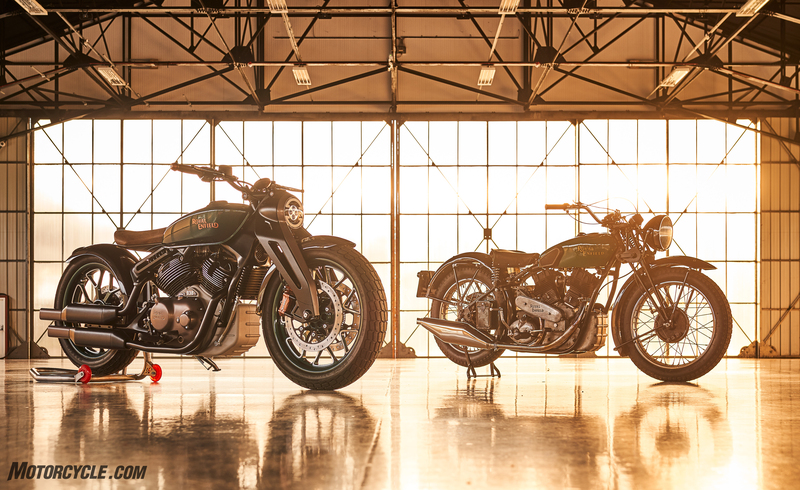 The designers exchanged ideas and sketches, while closely observing an original, 1937 KX in the studio. From a large selection of studies, two interpretations were chosen to be produced as full-sized clay models – one with a ‘neo-classical’ look, the other more futuristic. 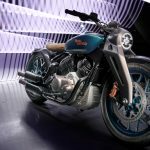 The finished concept machine on show at EICMA emerged as a brilliant blend of the two, with features such as a girder fork design that is re-imagined in a high-tech ‘blade’ set-up and the classic, pre-war headlamp casquette being revived in a modern and imaginative way. 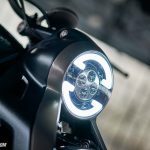 The front and rear lights also incorporate a stylised version of the old Redditch ‘E’ for Enfield logo, while emulating the ‘negative space’ typically seen on pre-war motorcycles that were not cluttered by large batteries, electronic components and complex wiring. 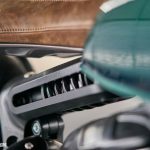 Additionally, the frame and airbox configuration serves as a stressed member of the machine and the seat unit is of a cantilever design. 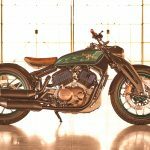 The ‘clean’ look is further enhanced by a compact electrical system and a classic-looking green and black paint scheme that is complemented by hand-painted, copper-coloured pin stripes, black and bronze finishes to the engine and exhaust system and the use of walnut leather for the seat and handlebar grips. 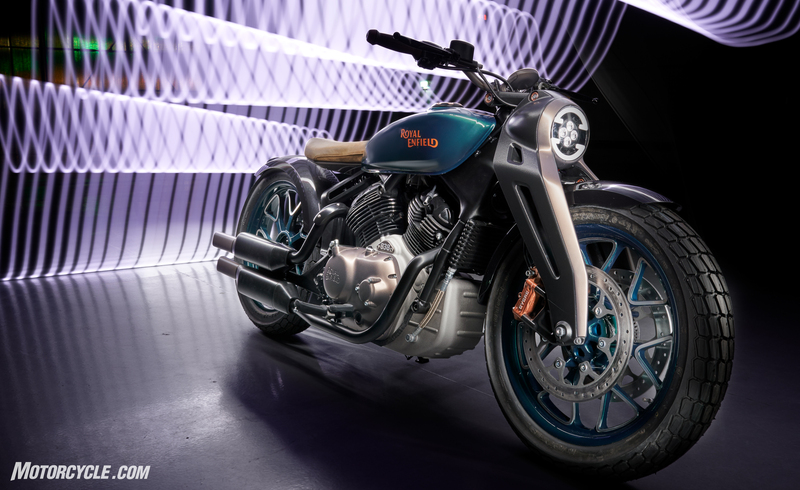 The Concept Kx 2019, takes pride of place at the very front of Royal Enfield’s extensive stand at EICMA. 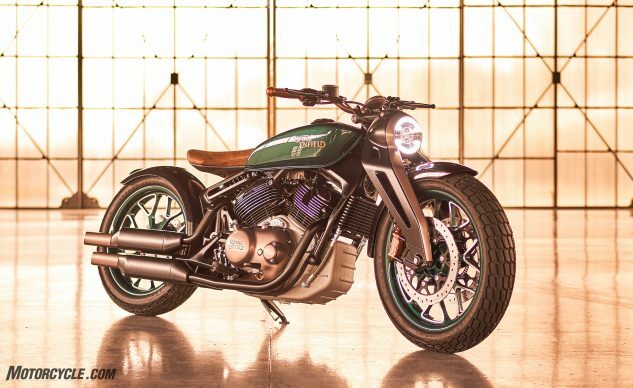 However, the motorcycle is only a concept, meant to showcase the prowess and creativity of the engineers and designers at Royal Enfield. 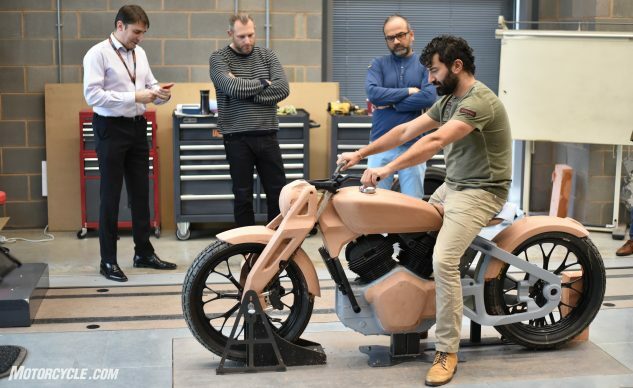 The concept motorcycle has not been designed for production, but could serve as an inspiration for design language in future product portfolio. 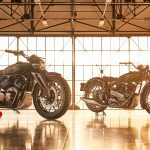 Get price quotes for Royal Enfield from local motorcycle dealers.